Carmen Blogger Template is another beautiful blogger template which is modified and converted by us from WordPress template. Carmen Blogger Template is a . Theme comes with an attractive layout and color combination. This will be suitable for sites for portfolios, photo journals etc. 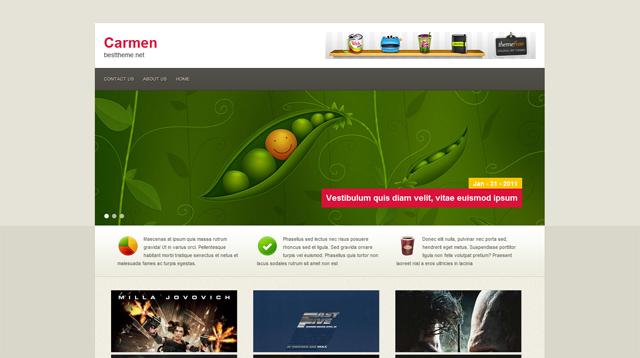 The theme features a jQuery featured slider and 3 customizable widgets on the homepage etc.